Terry Gross is one of the greatest interviewers we’ve ever seen. Marc Maron has called her “the most effective and beautiful interviewer of people on the planet.” She’s been inducted into the Radio Hall of Fame, and was awarded the National Humanities Medal from President Barack Obama last year. Empathetic yet incisive, patient yet methodical, deeply personal yet wholly universal, Gross is also unnervingly prolific: She’s been doing interviews five days a week for three decades now. When I started in radio, I envied one of my co-workers who had a whole box of tapes of her show. I thought, someday, if I’m lucky, I’ll have a whole box my own! Now Fresh Air has an archive of thousands and thousands of interviews covering 30 years … I’d be so damn smart if I was capable of remembering everything I’ve learned from them. Now, when I’m asked to choose my favorite interviews, I can’t, it’s just too overwhelming. I’m grateful to our producers for choosing some of theirs. And so, here are the Fresh Air team’s favorite Terry Gross interviews, as selected by executive producer Danny Miller (who started as an intern in 1978); director Roberta Shorrock; producers Amy Salit, Phyllis Myers, Ann Marie Baldonado, Lauren Krenzel, and Sam Briger; engineer Audrey Bentham; and associate producers Therese Madden, Heidi Saman, Mooj Zadie; and associate web producer Molly Seavy-Nesper. I’ve rounded out their picks with some context about each episode. McCorkle held a special place in the hearts of the Fresh Air team — they had produced five concerts with her — and when she committed suicide in the summer 2001, the show put together this tribute to celebrate her life. This interview with legendary musician is joyous and expansive, building a strong biographical thread that weaves together his history, craft, and specific moments in culture. “Live your life, live your life, live your life,” the renowned children’s book author told Gross in his final Fresh Air interview, which took place in September 2011. Sendak had been a guest on Fresh Air a few times throughout his storied career, but this last interview, which featured Sendak emotionally reflecting back on his life in all its beauty and sadness, is perhaps one of the most beautiful things ever captured on this show. Sendak died a few months later, on May 8, 2012. Much was written about Stephen Colbert and his relationship with alter ego “Stephen Colbert” during the Colbert Report’s decade-long run, but few stories captured the man himself as well as his Fresh Air interviews during that era. When Borat came out in 2006 and seized the cultural moment with its taboo-breaking bravado, Sacha Baron Cohen mostly did the press circuit in character. The comic actor’s Fresh Air appearance was one of the few media hits he did as himself, and the resulting interview was thoughtful, fascinating, and unexpectedly cerebral. This interview gives us a snapshot of the comedian at what might be considered the early stages of his rise to his contemporary era of auteurship. Perhaps more memorably, it also happens to be the interview that got Fresh Air pulled from Mississippi Public Broadcasting. Goodell is the author of Shade It Black: Death and After in Iraq, a memoir about her time on the Mortuary Affairs platoon, the unit responsible for recovering and processing the remains of fallen soldiers. In this haunting 2011 interview, Goodell’s experience is powerfully fleshed out and further contextualized within the wider question of the American wars in the Middle East, which persist to this day. Ansari and Yang got the Fresh Air treatment ahead of their Netflix show’s debut back in November 2015, and much like Master of None itself, the interview was familiar in its structure — showrunners are frequent guests on the show — but vibrantly fresh thanks to Ansari and Yang’s perspectives as children of nonwhite immigrants in America. The art of the memoir is not necessarily the art of remembering. That’s one of the major takeaways from this stellar interview with author Mary Karr, who is often credited with popularizing the genre in recent years. 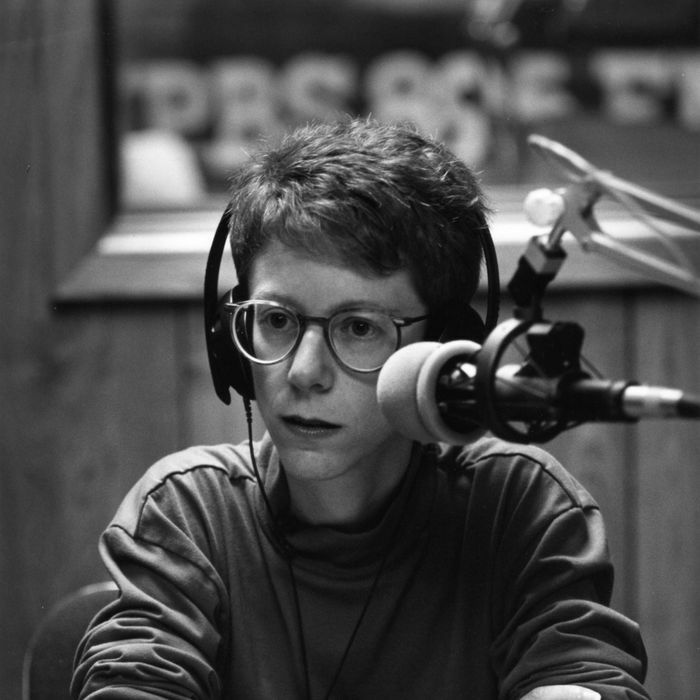 Funny and soulful, piercing and insightful, it’s a classic Terry Gross interview. Fresh off the publication of her latest novel Swing Time — and in the immediate wake of the elections — Gross talks to Smith about a wide range of subjects: historical perceptions, pluralism and culture, race, and our lots in life.